We sat four abreast in the chopper, closed the door and lifted off. 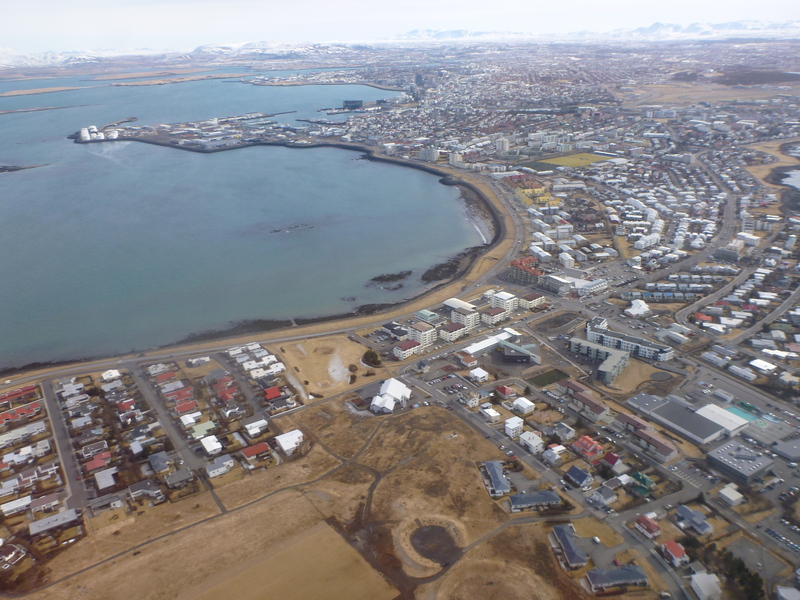 The weather in Reykjavik was perfect for a flight today – we could see the volcanoes and islands in the distance. Thousands of brightly colored roofs speckled the land below as we headed out of town. Our pilots were very knowledgeable pointing out the 90 degree angles in the pipes that brought the steam out of the ground and discussing the rationale for designing the system that way (no, it wasnt too much Brandevin). All of a sudden, we crested a series of defunct volcano craters and found the whole side of the mountain below was steaming. 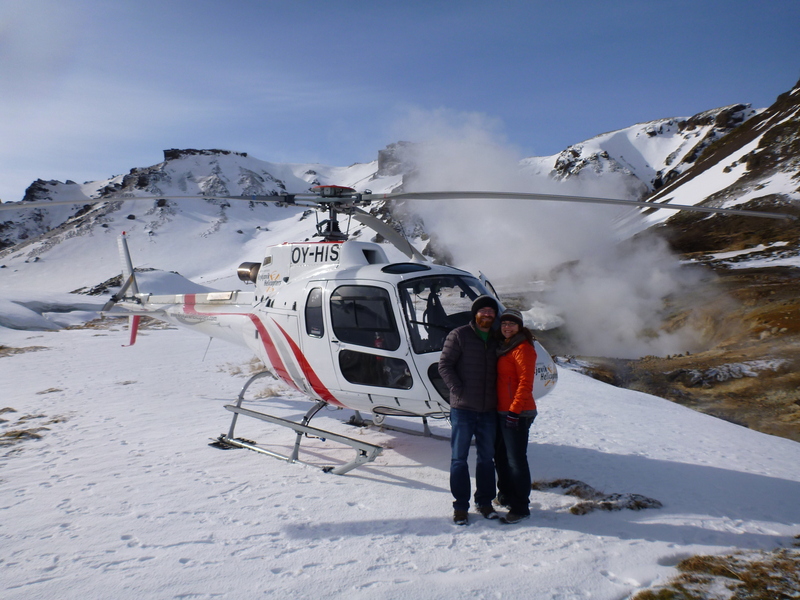 Then, we heard the pilots discussing a landing spot… we landed the chopper right next to the volcano vents! It looked like we had landed on the moon! I put my hand in the river of water that was flowing down the mountain and it was a perfect hotspring temperature. “If we only had a shovel..”, the pilot muttered. I didnt know if he was serious or not, but I was about ready to jump in and use a little elbow grease to create a nice little personal hottub. 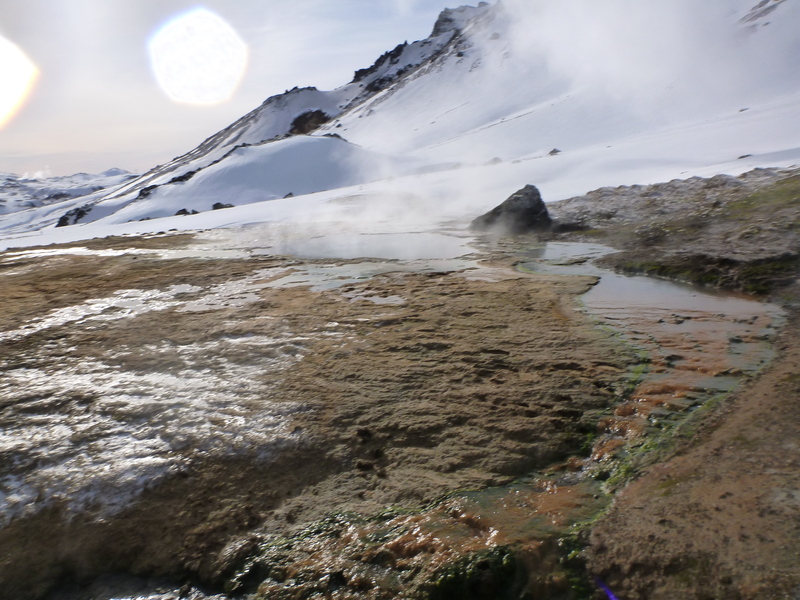 As we followed the stream up the mountain we found pools of boiling water and then a steam vent violently relieving the pressure from the tubes of the volcano below. 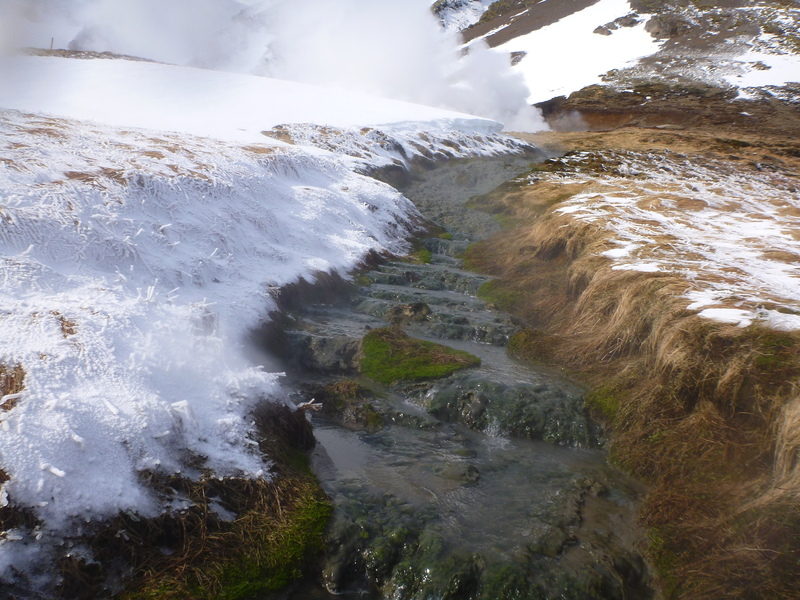 Then more steam vents… more rivers… more beautiful landscape that is completely foreign to non-volcano dwellers such as ourselves. It was incredible. We were the only ones to land there and the only ones who touched the river that day. It was one of those memorable moments that will become a highlight of our experiences for years to come. 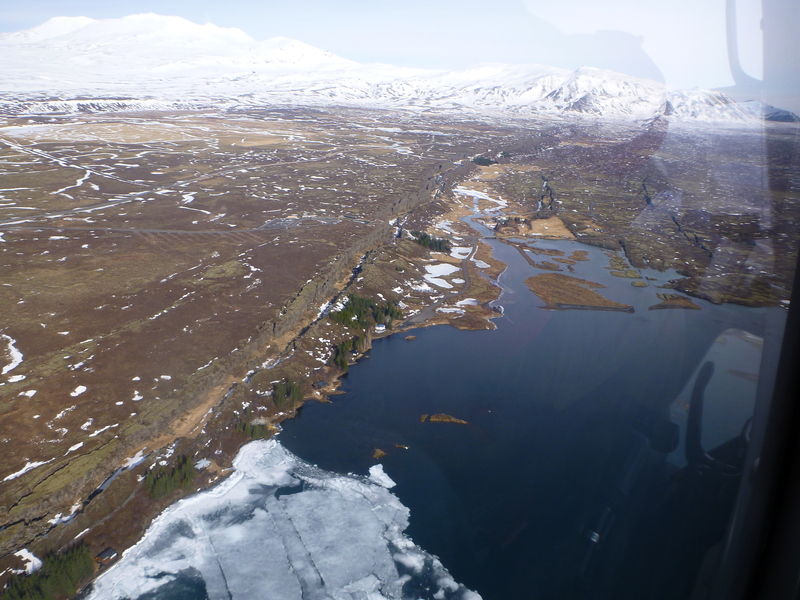 We boarded the chopper once more and headed to Thingvellir – a most incredible geological spot. The rift marks the pulling apart of two tectonic plates – the european plate and the north american plate and its an incredible site as far as the eye can see. 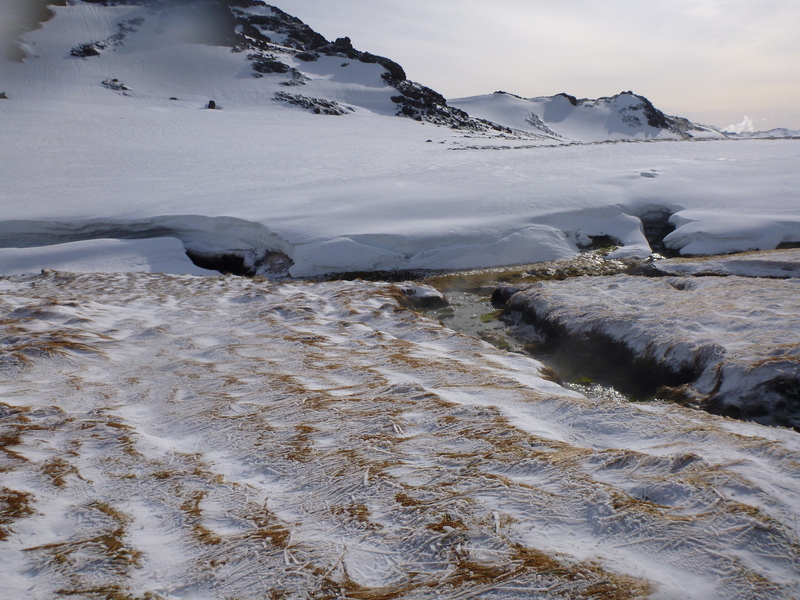 This area is also a very important area for Icelandic history. 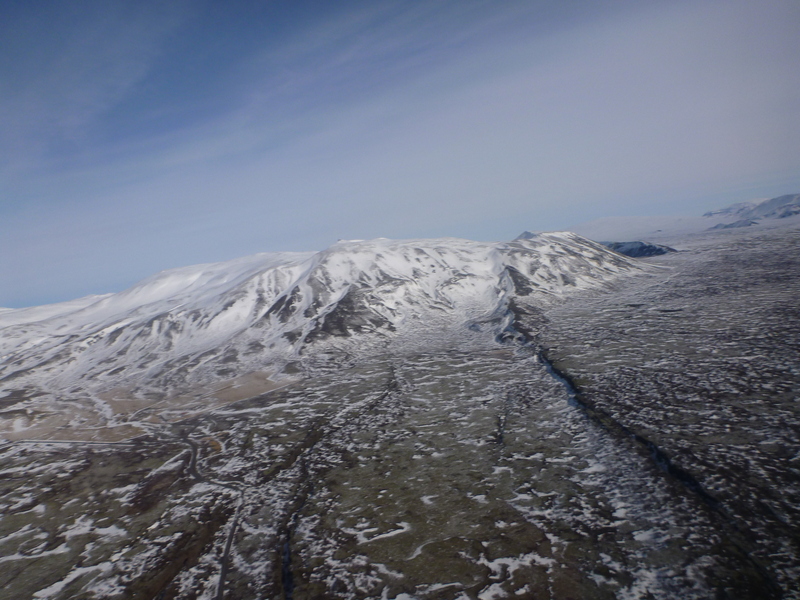 Our pilots showed us the horse routes through all of the mountain ranges to get to this spot that is near the largest freshwater lake in Iceland. The lake, which is open to diving and snorkelers, completely recycles itself every 6-8 weeks thanks to a raging underground river. What is more amazing are the homes that are built between the rift and the lake. I wonder what kind of insurance they have? Off in the distance you can see Eyjafjallajökull – the volcano that erupted in 2010 and caused a huge delay in air traffic all over the world, along with many other volcanoes, islands, lakes and steam power plants. 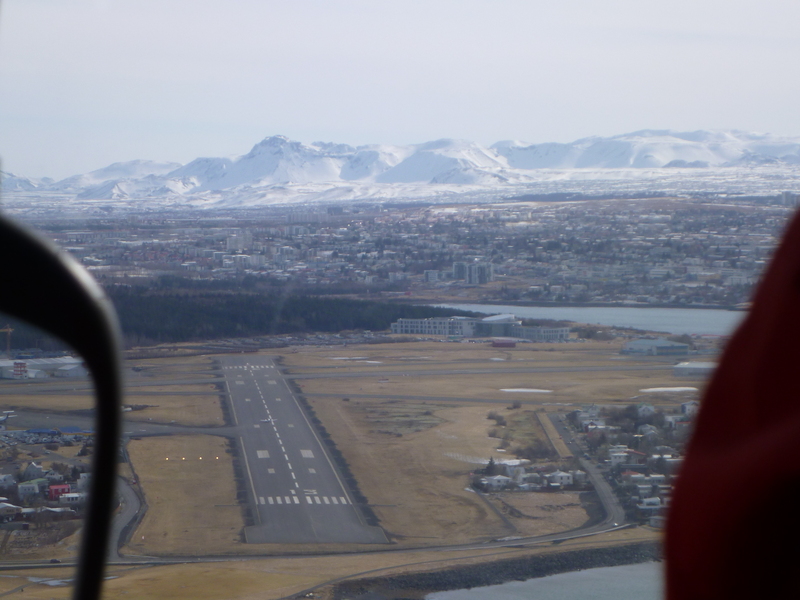 We ended this fantastic tour with a flight back over Reykjavik and an expert landing of our craft at an extremely tight spot in the back of the hangar. The flight was awe inspiring because of the fantastic pilots, the beautiful weather and the amazing natural surroundings of this country. We will definitely fly with this crew again – very very highly recommended. They were the least amount of moolah and the most fun! 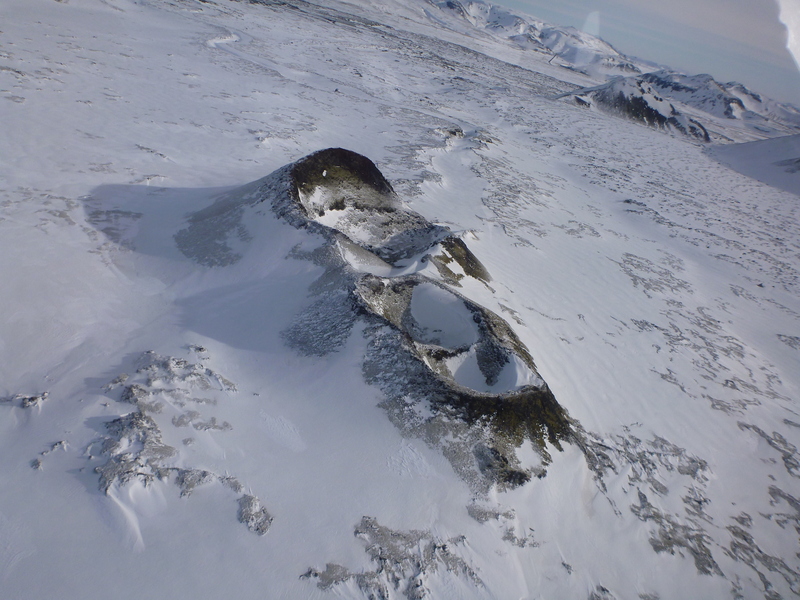 Contact Fridgeir at Reykjavik Helicopters http://www.rehe.is. How do you top something like this? What do you do for the rest of the day? Since we took longer with our flight, we missed our walking tour (we decided to buy a book since it was our last day in they city). 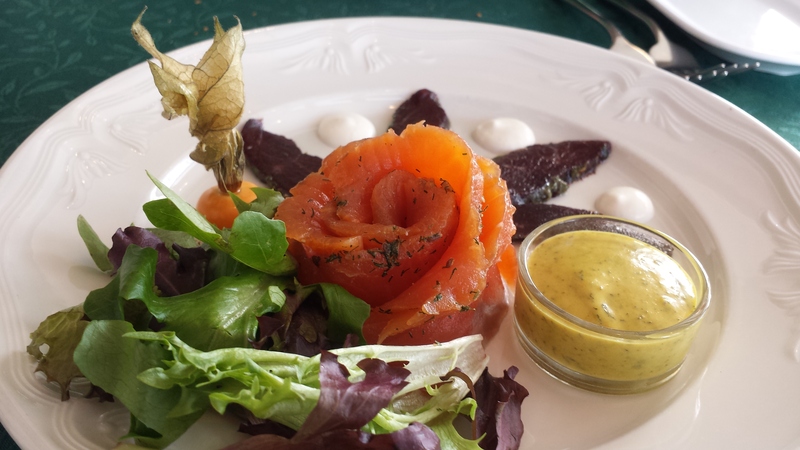 We recieved a recommendation for a great restaurant from a fellow traveler so we decided to have a relaxing afternoon and enjoy a gourmet lunch. We sat down at this off the beaten path place called 3 Frakkar. It is stunning on the inside and instantly I knew we were in for an amazing meal. They brought bread and tuna salad to the table for us to enjoy as we perused the menu. Now – this is one of these places where you have to ask yourself, how far am I really going to go down the “animals I have never thought to eat” path in order to have a great experience. I personally believe that as long as the animal is humanely treated during life and their kind is sustainably harvested, it is a privelidge to nourish our bodies with them. The only animals I have on my “will not eat” list are those that I have an emotional connection with (i.e. our puppy Harry) or those that are endangered or treated unfairly during their lives. This is a personal decision and something that is going to be different for everyone. Regardless of your beliefs, you should still consider this establishment. This restaurant is the kind of place that respects the land, the animals and seems to share the same sentiment as my beliefs, plus the chef seems to be a magician. 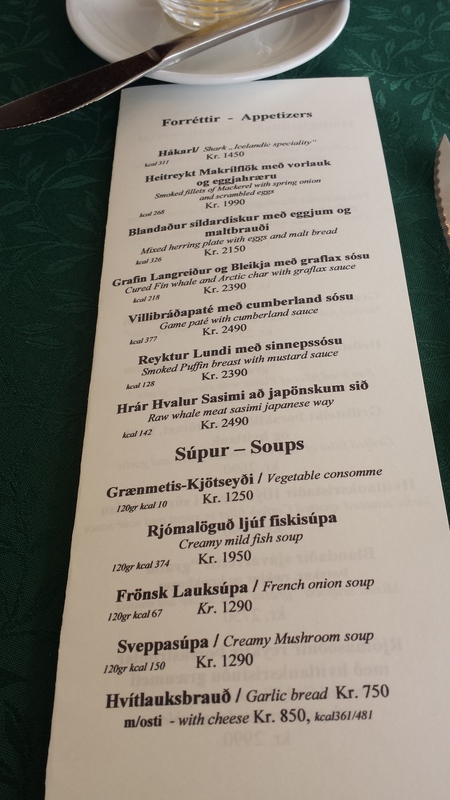 We decided that if we were going to try the traditional foods of Iceland, this is the place we wanted to be. Therefore, we settled in for a nice 2 hour lunch stepping down the menu. 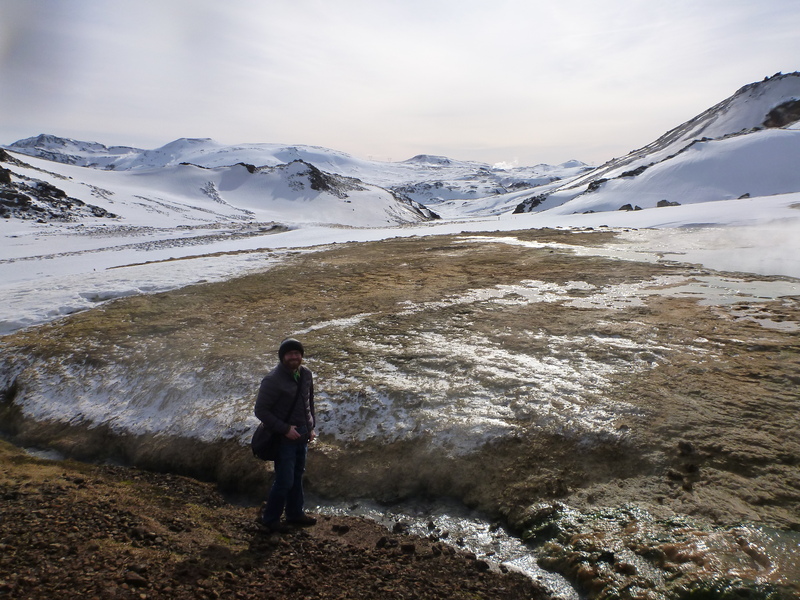 Since we could not find a cooking class available in Iceland, we invested all of our money saved for that into a tasting menu that spanned land, sea and air. I won’t go into detail about what we ate for a lot of these dishes because I feel that this is one of those places that you cant put flavors into words, you have to go for yourself. Note – we went for lunch. This is a smaller restaurant, so please call for a reservation if you are interested in dinner. 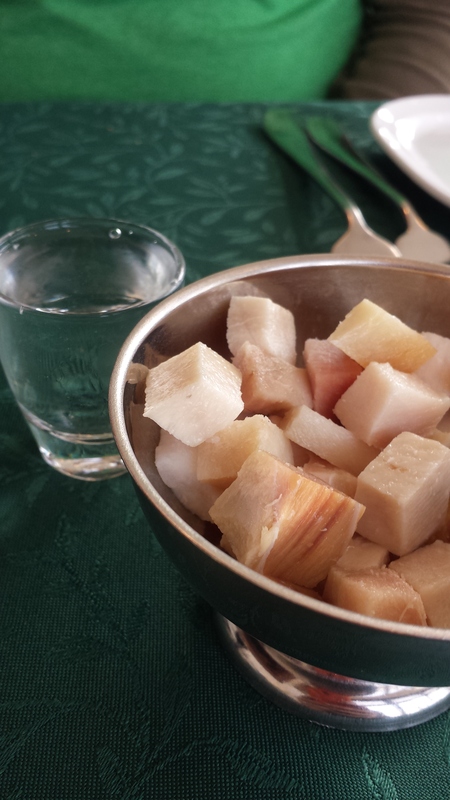 We did try the traditional shark dish with a shot of black death. There is a reson why they serve the drink with the shark. I am glad we did it once, but I don’t need to do that ever again. As we traveled down the menu, we were amazed at the presentation, perfect pairing of sides and the unique and amazing flavors that each bite brought to our mouths. We definitely did not have room for dessert, but had to do it anyway. Chocolate mousse and Skyr brulee. Yes. Yes. Yes. Yes. Yes. The waitress kindly informed us that she was closing to prepare for dinner as we were considering ordering more. 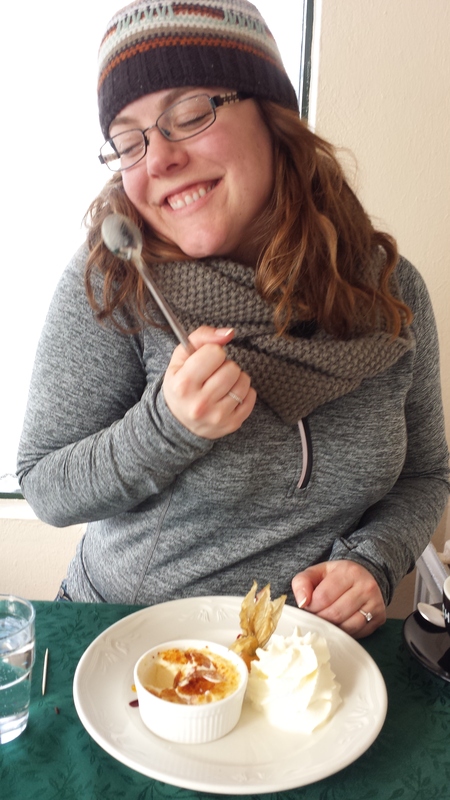 We thanked her profusely and headed out the door with huge smiles on our faces and a representation of Icelandic cuisine sloshing in our bellies. We took our happy selves down the road to the Saga Museum to take in a bit of history, especially since we missed the walking tour. I was not ready to experience such expert displays. 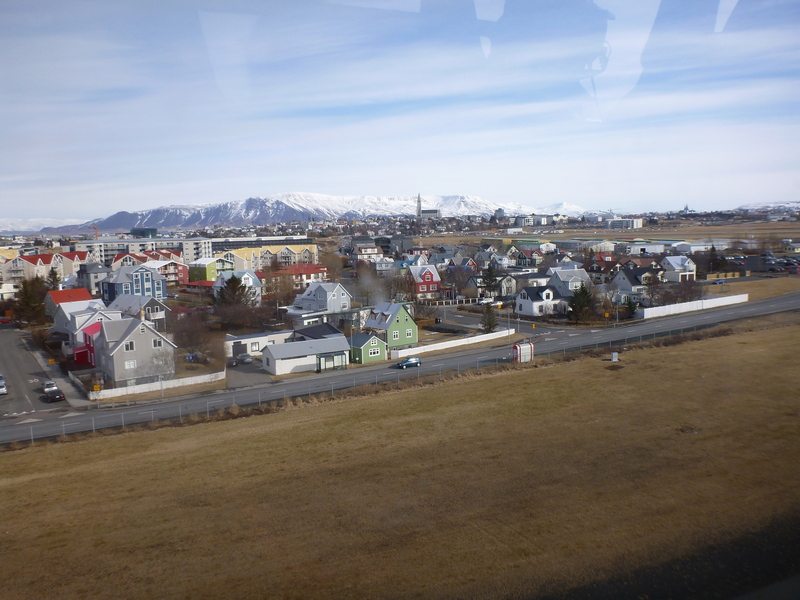 The 30 minute audio tour walked you through key points in Icelandic history with the perfect amount of richness and brevity. I could only listen to parts of it however because I was too busy gawking at the scenes that had been put together in front of us. The people looked like actual living people. Complete with hair on their faces and color in their cheeks. I have been to several wax museums in my life – nothing compares to this. Even better, the museum comes with a do-it-yourself dress up like a viking corner where you are free to play with the weapons, clothing and props as you please. I was shocked and delighted to find out that the weapons and chainmail clothing were not plastic replicas – they were the real thing! We enjoyed snapping a few shots with the polar bear and viking gear before heading out of town for the remainder of our trip. 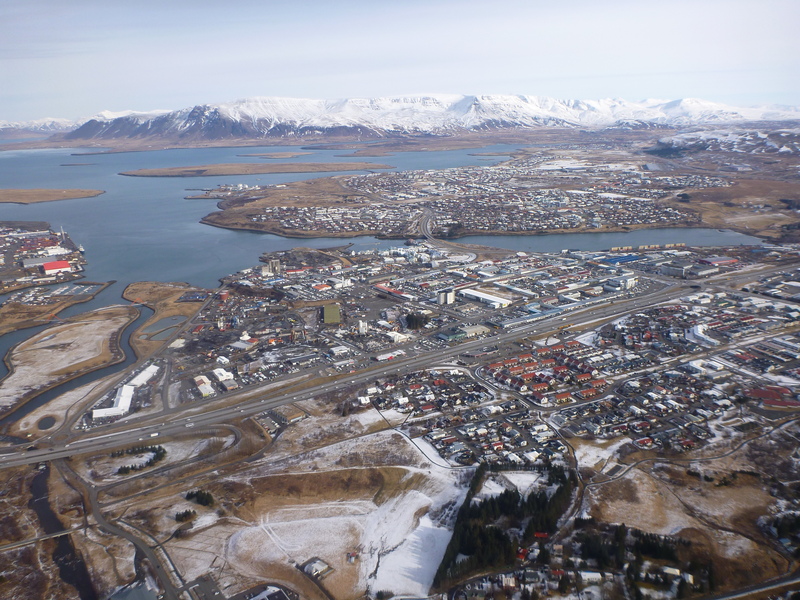 To summarize Reykjavik, it is a city with hidden gems. Hotel Borg was in a great location, but we were spoiled with Hotel Budir. 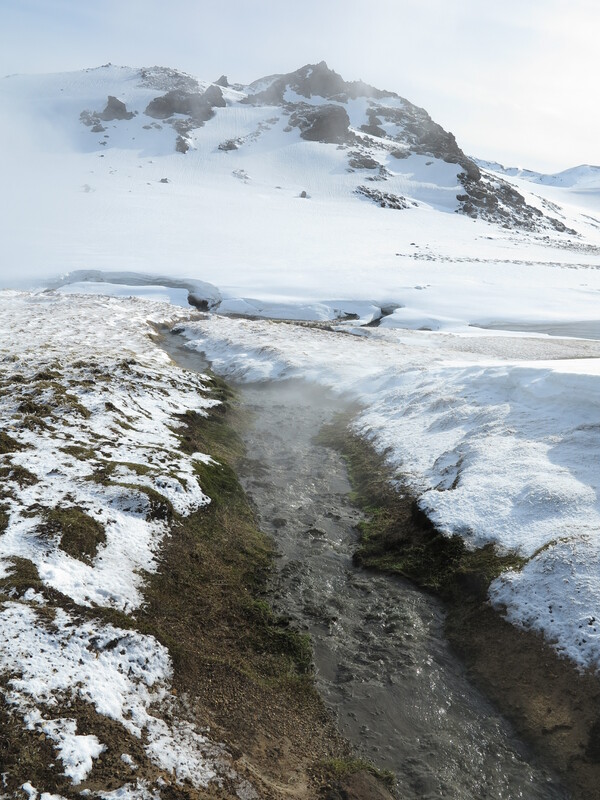 I was expecting top of the line accomodations and friendliness for the fees that we were investing, expecially since we had just recieved such an amazing experience at Snaefellsnes. The Borg is an average place with a really fantastic location and a REALLY overpriced breakfast ($24 EACH for less than average food – ouch). We will try a different location next time. We can highly recommend the “pizza place with no name”, 3 Frakkar, and the Icelandic Hotdogs for food and our top three experiences were the Helicopter tour with Reykjavik Helicopters, the horseback riding tour with Ishtar.com and setting foot on this beautiful city with a guidebook and map in hand and getting lost along the fantastic streets. We loaded the car and headed 90 minutes to the East to find our next adventure: Gullfoss. I think we saw 3 cars along the road and were turned around once because the route we had chosen was “impassable”. Note to self – check the road conditions before heading out. 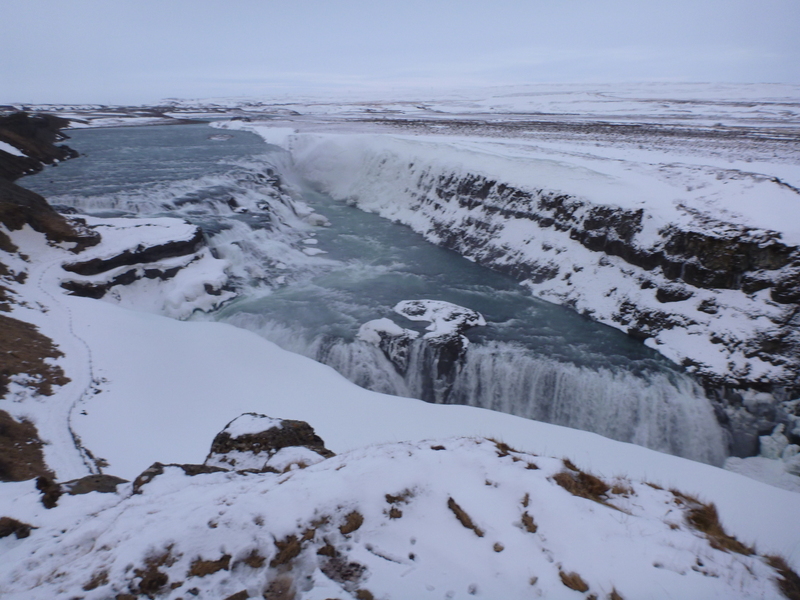 We chose Gullfoss as a resting place for the night as it is the furthest site that we had time for on this trip. As we pulled up, temperatures dropped and the wind speed increased. After 5 minutes outside, our faces were wind burned and fingers were frozen through. However, we decided that since there was a still a bit of light, we needed to head down the road to go see the Gullfoss site. It was too cold to really do it justice so we are hoping for some better weather tomorrow. But, as you crest over the terrain to see the falls for the first time you realize it isnt just the arctic air that is taking your breath away. The two viewing stands let you see the entirety of this side of the falls. There is a hiking trail down into the falls that is currently closed for the season. 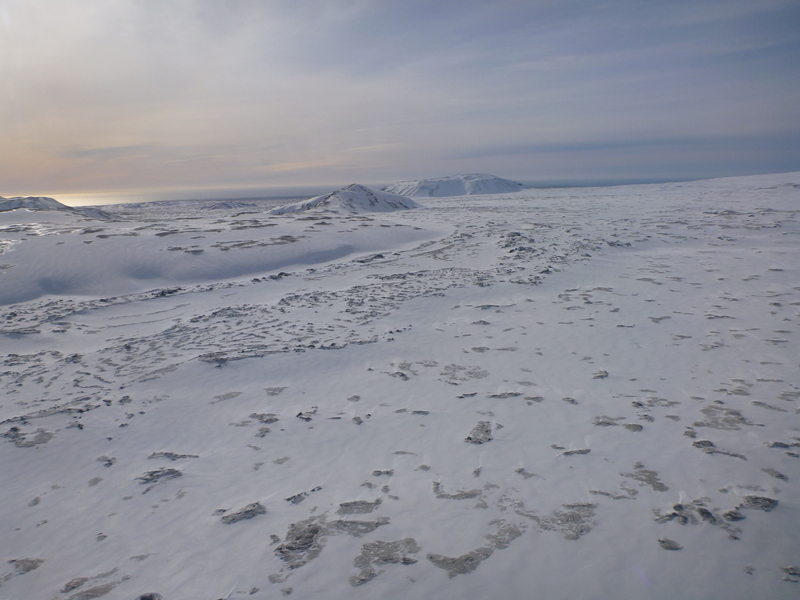 Our helicopter mates mentioned that they hiked it anyways and it was worth it… but after feeling the chill in the air for 10 minutes and seeing the slippery ice covered trail down the steep side of the hill, we both opted to save it for our next trip. The falls are truly spectacular. We did stay long enough to hit both viewing places and remarked that it would be the most perfect place to see the northern lights. Fingers crossed that they happen tonite. We cannot check the aurora forcast because the hotel’s internet is down, so we will do it the old fashoned way – get our butts out of bed at 3am to check and be ready to head towards the falls with our cameras in hand if it clears up. The Gullfoss Hotel is the closest hotel to the falls and looks like an old farmhouse. The rooms are sparse but beautiful and comfortable and the main eating area is beautiful with huge windows looking out onto the land. We opted for an early dinner thinking that we would just have an appetizer because there is no way that we will get excellent food that could compare to anywhere else. We sat down to warm bread and butter and freshly made tomato soup. We opted to share a lamb dinner because the rest of Iceland cuise was still occupying our stomachs. To our surprise the lamb with berry reduction, sweet potatoes and salad was AMAZING as well. We didnt expect to eat THIS well on this trip! 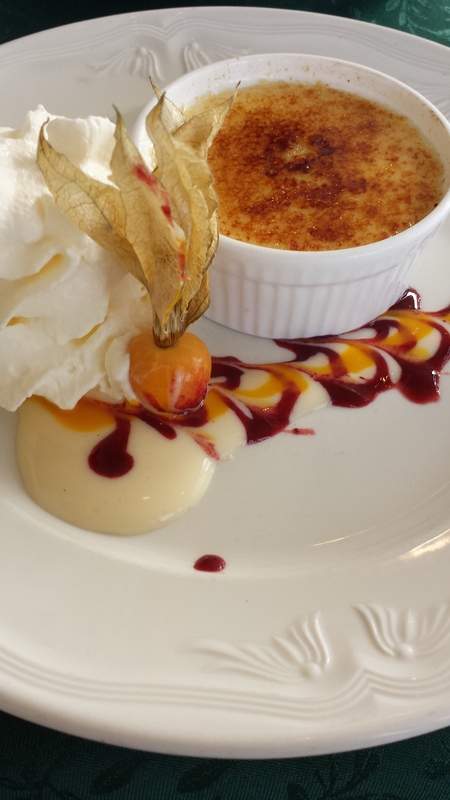 The unspoken rule that we seem to love is that if the dinner is exceptional, we must get dessert. Which we did. The Skyr with berry compote was exceptional as well. Much sweeter than any other skyr that we have sampled, but delicious nonetheless. We considered an after dinner drink but decided that after a day like today – a perfect day of food and adventure – we should hit the hay early since tomorrow will be a fantastic day of seeing the natural sights ending at the Blue Lagoon for an in-water massage.